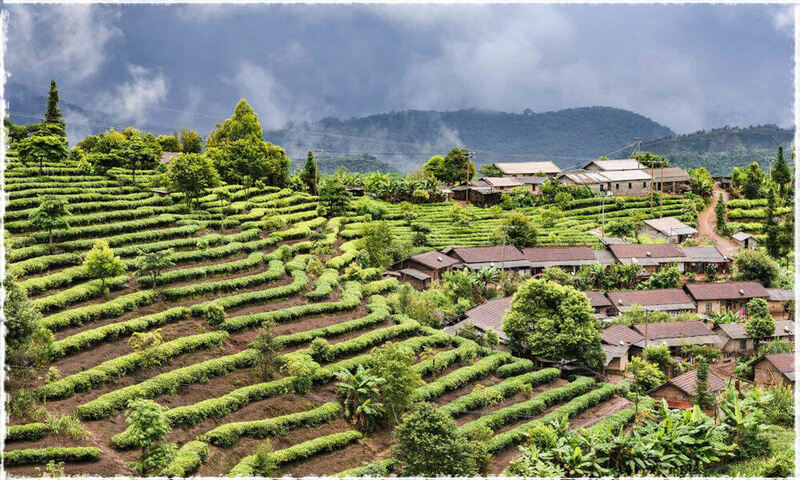 Historically, the Yunnan Province in China has a rich past with tea, being the place where Pu-erh was first discovered and produced, as well as being famous for its deep and melodious Yunnan black teas. Because of the ideal growing conditions for tea in the Yunnan Province, teas have been produced and grown there for hundreds of years. Yunnan is often considered a mecca for tea in China, and Yunnan teas such as Pu-erh tea which is famouns for its weight loss health benefit is becoming much more famous and well known throughout the world. 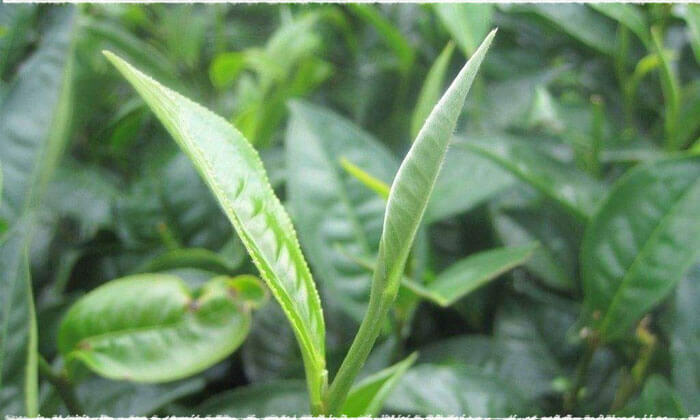 There are many varieties of Yunnan tea, and the Yunnan Daye species of tea which is a large-leaf variety of tea, is the tea most prominently used for the creation of Pu-erh tea in China. This area of China is located near the Lancang drainage basin, and has become very popular in recent years. 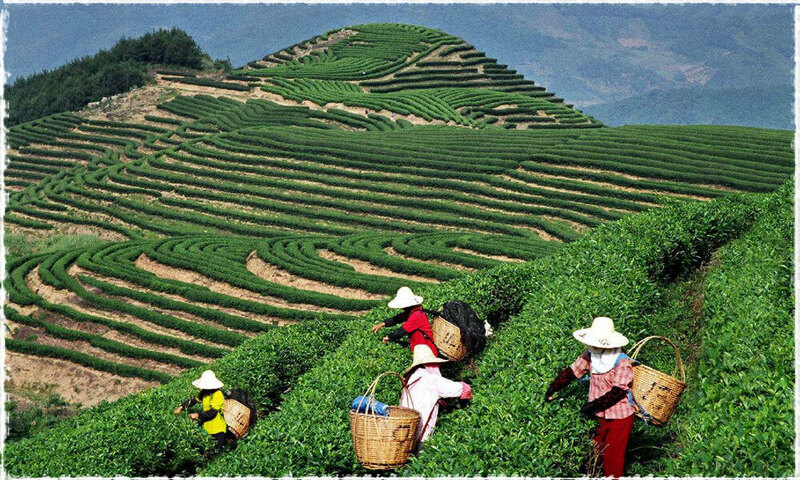 The four main production areas of tea there are called: Xishuangbanna, Pu’er (Simao), Lincang and Baoshan. 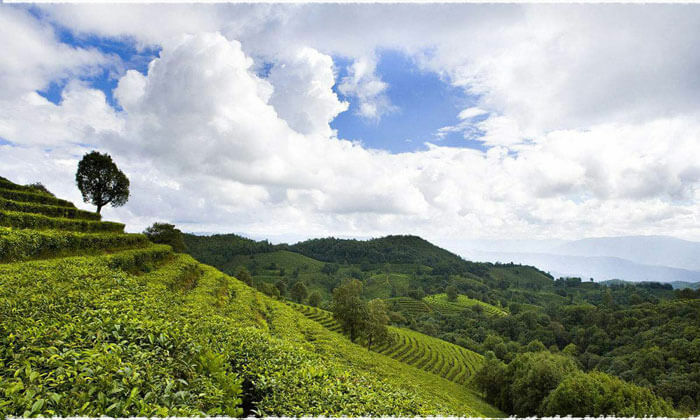 The beauteous area near the Lancang River has a very pleasant climate which is considered a monsoon climate, which is ideal for growing teas due to the heavy rainfall and humid warm climate. 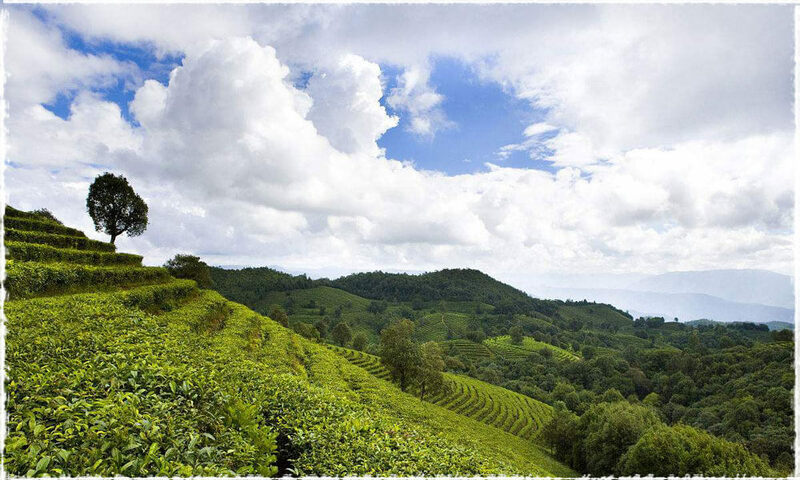 Tea farmers take advantage of this rich landscape and precipitation to grow exceptional tea trees which have been harvested in the region for many hundreds of years. The Lancang river actually flows along the four main production areas of Baoshan, Lincang, Simao and Xishuangbanna. Because of the steady irrigation from the river, these areas offer much better growing conditions for teas, making for an exquisite cup of tea! Baoshan City was called Yongchang in ancient times. Historically, it was the first residence for human settlers in western Yunnan. However nowadays not only is it a wonderful production area for tea, but it is also famous for the “Southwest Silver Road”, a frequently traveled business route. 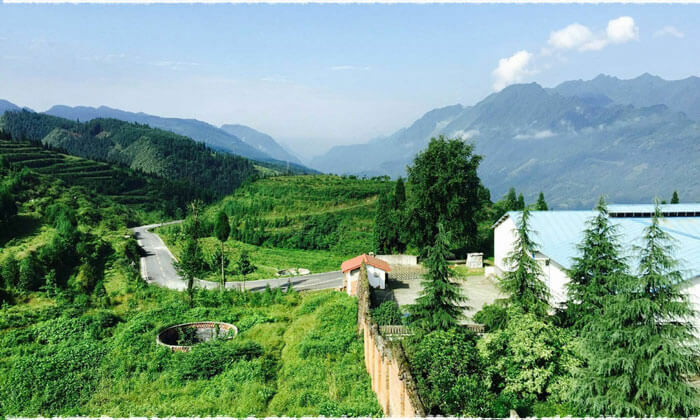 The climate in Baoshan is very pleasant, having mild winters and summers which are humid but not too hot for the production of perfect tea, with tea trees which are thick and full. As Baoshan City plays a major role in the modern production of Pu-erh tea, it is worth visiting and exploring, and is one of the most unique places in China. production. Lincang is a famous area of China in Southwest Yunnan which has historically been a gold route leading to Southeastern parts of Asia. The name of Lincang City is due to its proximity to the nearby Lancang River. Lincang is the main area of tea production in the Yunnan Province of China. 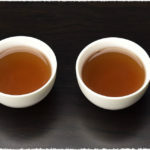 When Pu-erh tea increased in public popularity and consumption during 2003, Lincang became a focal area for the production of Pu-erh as well as Fengqing, the region which produces Dian Hong tea, but is also important in the production of Pu-erh tea. The Fengqing variety of Pu-erh tea, which is produced from the Fengqing Day species of the tea tree which has full and thick leaves which brew some of the most delicious teas in the world. The teas produced here are rich, mellow and smooth, and famous throughout China and the rest of the world. Pu-erh, also sometimes known as Pu’er, Simao, Puer, or Pu-er depending on dialect and region, is the most well known area for producing Pu-erh tea, and possibly the most important. The Pu-erh region of Yunnan has an extremely large population of ancient wild tea trees ranging across an area of approximately 5,336,000 square meters. 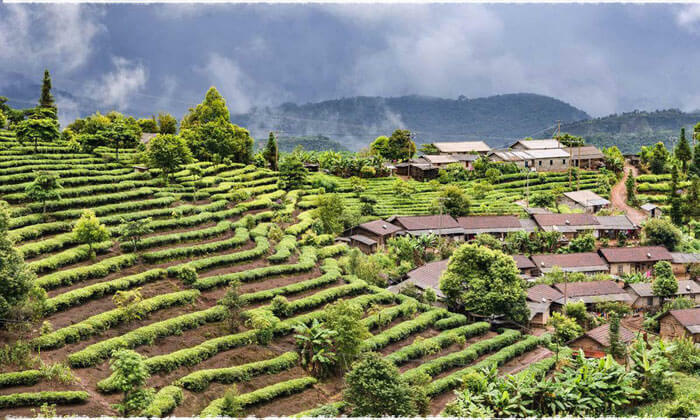 Not only is Simao an important place for the actual growing and production of Pu-erh tea, it is also a major distribution center of Pu-erh teas. 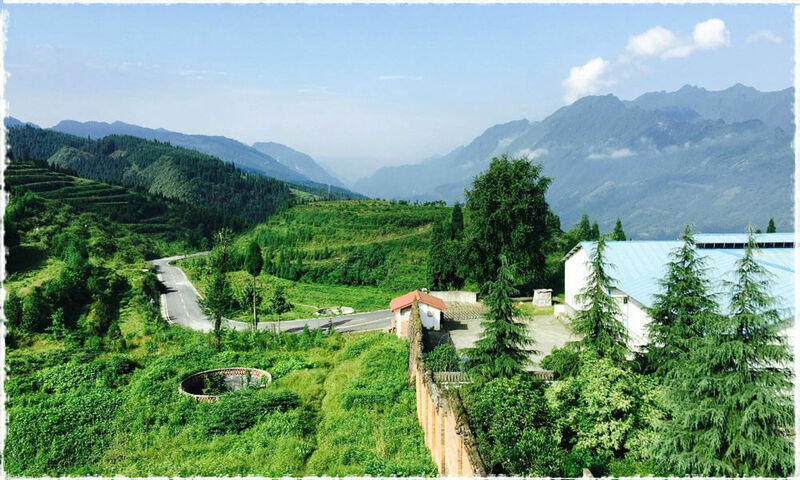 The climate in the Pu-erh region of China is especially favorable toward the tea tree, as it is a moderate climate with high precipitation, so the tea here grows especially well, including Pu-erh tea. 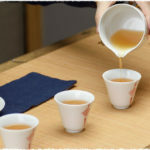 In ancient times, tea would be sent to the city of Pu-er to be processed before being sold, which is what eventually came to be known as Pu-erh tea. There is also an ancient tea tree in Pu-erh which is thousands of years old, called Zhen Yuan, as well as many other old and beautiful tea trees. The Xishuangbanna area of China has a beauteous countryside, with gorgeous fields and a rich history full of legend. Six giant old tea mountains gaze upon the green valleys here, covered in thousand-year-old tea trees amongst the rich scenery. In China it is an honored place for places, animals and medicine. Many legends speak of the origins of the Chinese here, because of the incredible geography, and perfect growing conditions. The Menghai Daye tea species grown here is the raw material, which is then made into Pu-erh tea by local area manufacturers, then sent out into the world for people to sip and enjoy. The most famous view around Puer city is the Ancient Tea Horse Road, which located in an ancient town call “Bi Xi” ( 碧溪古镇 bì xī gǔ zhèn). Besides, Meizi Lake Park is also worth to visit. It has a long history and very beautiful natural view. I bought yi shen tea and this date – 2003/06/09 is written on it. Is it the expiring date or what. Thank you for your question. I’m sorry that I don’t know the “yi shen tea” you mentioned. 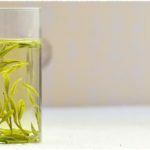 Is the tea name written in Chinese? Could you please contact us and show us the packing via email? Then I can try to tell you something from the packing.